Is it worth it to Stage a home you are selling? We love making the home you are selling into a work of art. But people question, “Is it worth the money to stage a home to sell?” Of course, we say, “YES!” We find that when people are looking to buy a home, they cannot see past the barewalls. But when they walk into a staged home, they can actually see themselves living there. If you need more convincing, The National Association of REALTORS® Research Department reveal the statistics that work! *49% of buyers’ agents cited that home Staging had an effect on most buyer’s view of the home. *77% of buyers’ agents said Staging a home made it easier for a buyer to visualize the property as a future home. *Staging the living room for buyers was found to be most important (55%), followed by Staging the master bedroom (51%), and Staging the kitchen (41%). 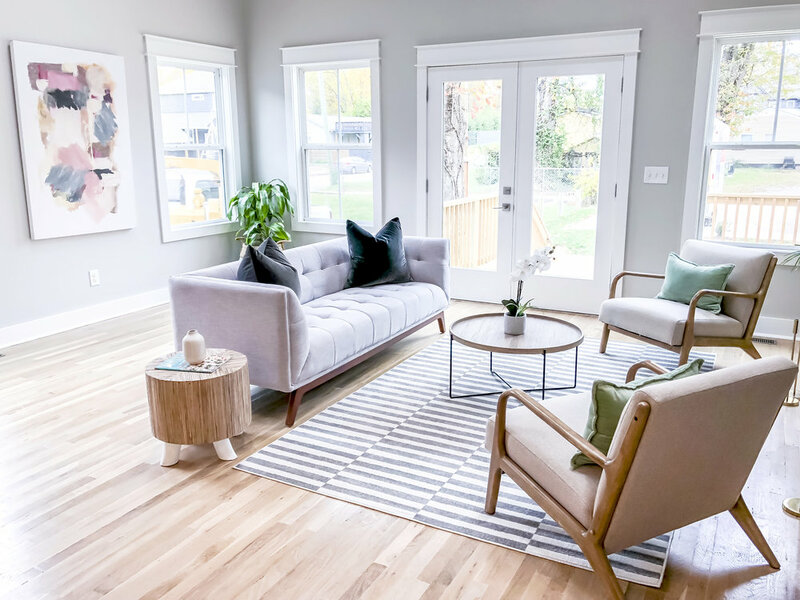 *About one-third of buyer’s agents said that Staging a home increased the dollar value offered between 1 to 5% compared to other similar homes on the market that are not Staged. 38% of sellers’ agents said they Stage all homes prior to listing them for sale while, 14% noted that they only Stage homes that are difficult to sell. The most common rooms that are Staged include the living room (83%), kitchen (76%), master bedroom (69%), and the dining room (66%). The costs behind Staging a home were typically paid by the seller before the home is listed (25%). When Staging a home, 29% of sellers’ agents reported an increase of 1-5% of the dollar value offered by buyers, in comparison to similar homes. 21% of respondents stated that Staging a home increased the dollar value of the home between 6-10%. 39%t of sellers’ agents stated that Staging a home greatly decreases the amount of time the home is on the market. The most common home improvement items agents recommended to sellers were decluttering the home (93%), entire home cleaning (89%), carpet cleaning (81%), and removing pets during showings (80%). Staged Homes Sell Faster and for More Money! To sell your home faster, it must stand out from the competition and create a strong first impression. A survey by Coldwell Banker Real Estate Corp. found that Staged homes spend half the time on the market than non-staged homes. The National Association of Realtors (NAR) survey found that the longer homes stay on the market, the further their price drops. Once staged, homes spend an average of 73% less time on the market. Home Staging is all about showing your home in its’ best possible light. Buyers are willing to spend 1% to 5% more of the dollar value on a staged home than a non-staged home. A survey by Coldwell Banker Real Estate Corp. found that Staged homes sell for more than 6% above the asking price.